Did we really have October this year? I mean, I see evidence of it in the costumes strewn about my house as well as in the 25+ lovely little lbs I've gained from eating my kids Halloween candy stash. SO I know it was here and all. But still. I feel like it just tipped its hat as it walked by. Oh well, c'est la vie when you're busy with little people. But first, a little snippet of Halloween this week. From my Frozen crew to yours. Of course I'm late posting. Of course. 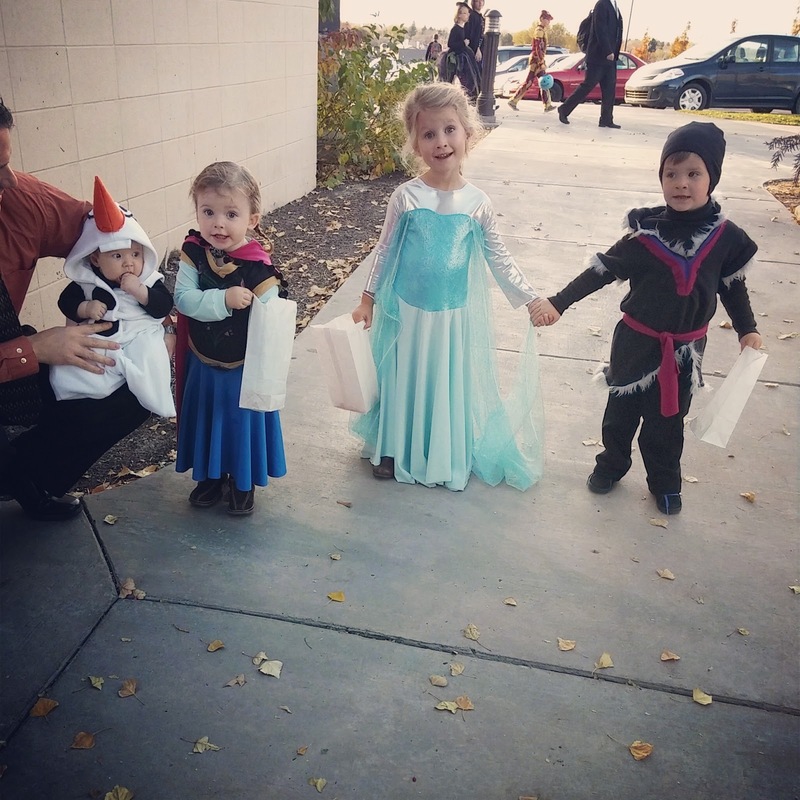 Hands down the best version of Frozen I saw this Halloween... and I saw a lot. I feel like it was appropriate how you said, "From my frozen family to yours..." because you were probably 89% actuate. :) Christoff is my favorite! I feel ya on the fast October and need to cleanse in November. Yay for Christoff! but they are all so adorable, especially together.